Purchase Your New Pool or Hot Tub! Help! Our Pool or Tub Needs Repair! We offer personalized options to satisfy your hydro-therapeutic needs, effectively building a spa around you. Heating problems, plumbing leaks, shell damage, and more are all things that our skilled staff can take care of. 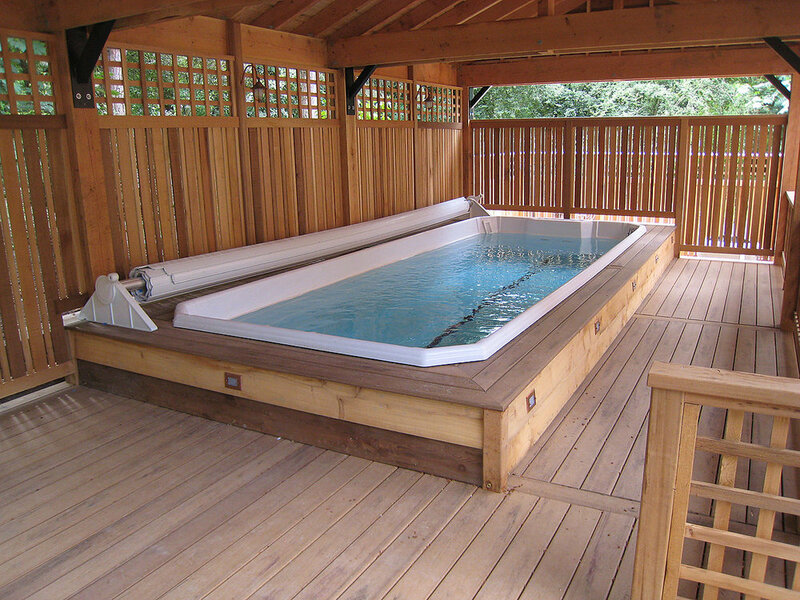 Installing swim spas outfitted with canine hydro-therapy features is one of our most popular specialties. At Elite Spas Northwest, the pool and spa sales and installation process means bringing your dreams to reality and your vision to life. We started out over 30 years ago with a simple goal: To provide the highest-quality pool, hot tub, and swim spa products and services possible. After more than 2,500 custom built-in installations of all types plus successful service calls too many to count, we still consistently achieve that goal. 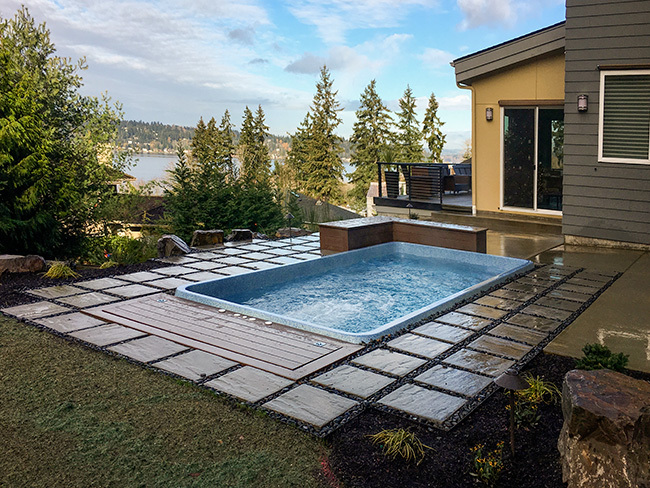 The experience received from these projects and extensive customer contact has evolved into the "Elite Package," our proven process for building your new hot tub or swim spa around you, ensuring total compatibility and satisfaction. Our philosophy is to make your spa user-friendly and fit the style of your existing surroundings, and to take your vision and bring it to life. We work with you to provide complete deck designs and construction built around your lifestyle and unique outdoor living space. We'll take on any project, no matter the size or complexity. With so many setups to choose from, we offer personalized options to satisfy any of your hydro-therapeutic needs. That personal touch has served our customers well after more than 2,500 spa installations. We are licensed and bonded for general contracting and electrical work.